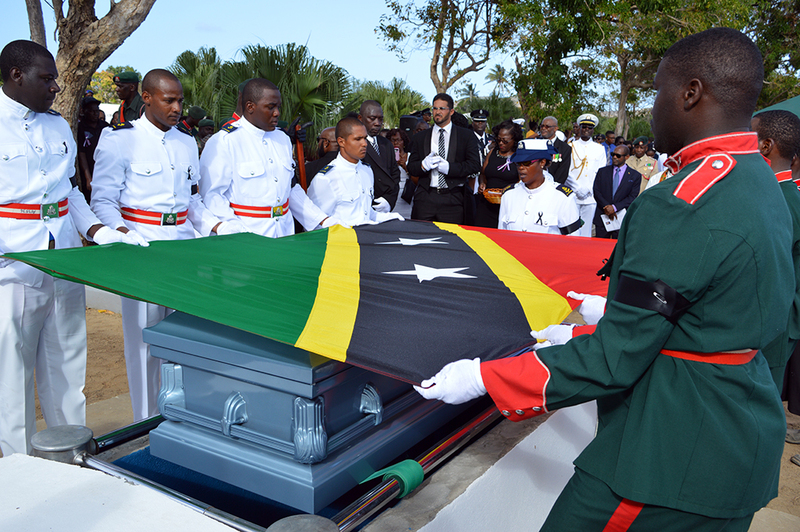 BASSETERRE, St. Kitts – Prime Minister of St. Kitts and Nevis the Honourable Dr. Timothy Harris was among the hundreds of mourners who earlier today attended the funeral service of the late Jimmyliah and Naomi Finch of Keys Village, who were both killed March 1. Other members of the Federal Cabinet, including the Hon. 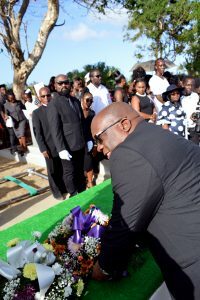 Eugene Hamilton, who is the Parliamentary representative for Constituency Eight, and Sen. the Hon. Wendy Phipps joined family members, friends and other well-wishers at the thanksgiving service held at the St. George’s Anglican Church on Cayon Street. Harris further used the occasion to decry acts of violence against women and children in our society, adding, “I want to appeal to all to eschew violence and to show greater compassion to and tolerance for one another.